Indiana Religious Freedom Restoration Act LGBT discrimination language added. The window of a barbershop in Lafayette, Indiana. 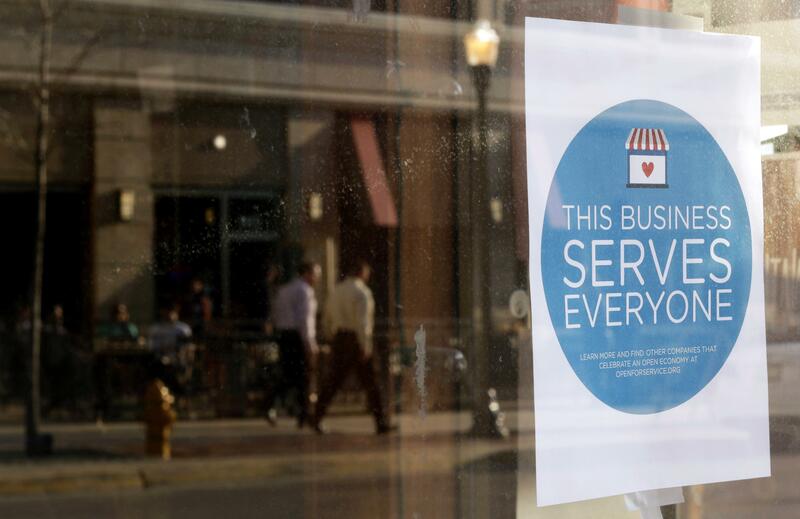 Indiana legislators have proposed language that will amend the state’s Religious Freedom Restoration Act to explicitly prohibit the statute from being used to defend businesses which deny service to LGBT customers. Indiana’s passage of RFRA last week provoked national and local outrage, after which Gov. Mike Pence reversed his previous position and called for changes to make clear the law could not be used to defend anti-LGBT discrimination. It also says that the measure does not “establish a defense” to a civil suit or prosecution for refusal by a provider to offer or provide services, facilities, use of public accommodations, goods or more. Slate’s Mark Joseph Stern has written that, despite the protestations of Pence and others, the original law in fact does seem like it was intended to allow denials of service, and conservative activists have protested the new language prohibiting such discrimination.